My new professional puupy scale has arrived! 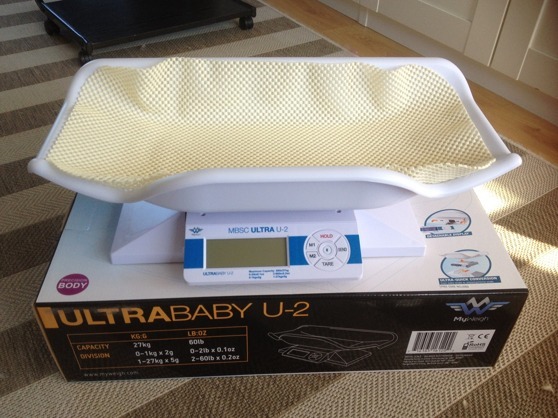 This is a great digital scale, where one quickly and to the exact gram easily can weight the puppies. 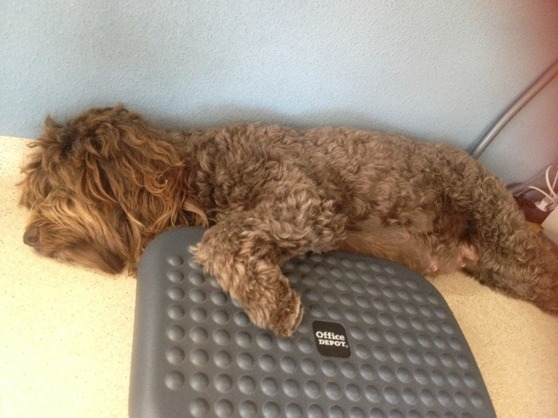 Earlier I was using our household scale but found it very tricky, since the puppies get very lively and don't cooperate on the scale very well ;-) ! This puppy scale has a hold function that allows you to hold the result on the display so that you quietly can put the puppy back in the whelping box and then note down the result. I add a photo of Moët where she is laying right now under my desk! Always nearby this sweetheart! Mooi gebied daar en ze doet het nog goed met haar dikke buik! Spannend hoir..laatste weekje! Ja zij doet het super goed en is heel blij zoals altijd!